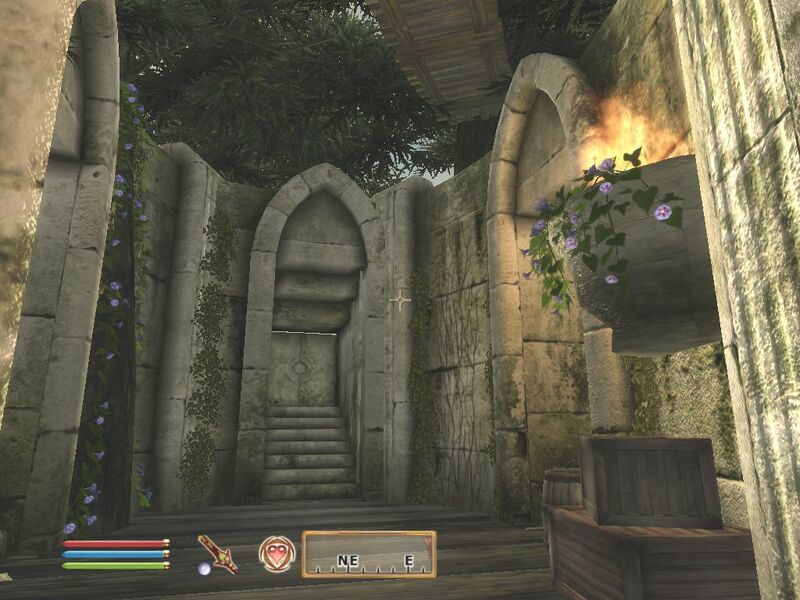 Here are some of the in-game writings from the Silorn Manor mod for Oblivion. First of all is the lengthy history of the town, which appears in ELSYNIA’S GUIDE TO SILORN. Secondly are the three journals: Antonius Lucius (the outsider who discovers the village and leads the player there); Berwen Silverleaf (a teenage villager); and Tandilwe (a servant in the manor). Finally, I have included a newspaper clipping that may be found in the house, which offers some insight into how the inhabitants of nearby Skingrad view their reclusive neighbours. Auriel’s blessings be upon the village of Silorn and all who dwell there. In the year 1E 243, Count Elanil Silverleaf fled the White Gold Tower with his new bride, Issmi, to Silorn. Issmi was a gold-skinned beauty from foreign shores, and with the political upheaval and uncertainty of the Slave Queen’s rebellion, Elanil was anxious to forge a quiet and settled life for himself and his household. The caravan of the noble and his wife plus their wider relations and servants journeyed under cover of night to cross over the border to join their fellow refugees in Valenwood’s Camoran Dynasty. Though structurally sound, the ancient catacombs of Silorn were hardly a welcoming home for the exhausted party, who had stopped there to rest on their journey. Terrified of offending the resident spirits in the tombs below, the band retreated and made a makeshift camp above the ruin that gave little protection from the elements. All this time, news of the horrific events unfolding in the city-state was filtering through to the party. Elanil was reluctant to leave his homeland, and unsure of the warmth of welcome he would receive in Valenwood, especially as husband to an outlander with a mixed-blood baby due any day. Issmi’s condition was incompatible with travel, and the unsanitary conditions of the camp were weakening the Countess. Fearing for his wife and child, Elanil consulted his crystal ball. He retreated from the rest of his party and stared at his gazing-ball day and night for three days without pausing to eat or sleep. When at last he returned to the group, his mind was set in resolve. He announced that he had seen the future for his clan, and then curled up in his place by the campfire and fell asleep for two days. Upon waking, Elanil and the stronger members of the household began to dig down in the places he had foreseen. Sure enough, their shovels soon hit areas of hard stone and eventually exposed a hidden entrance to a separate section of Silorn that had hitherto lay undiscovered. The group labored for many hours until they could safely lower Issmi and the rest of the household into the concealed ruins. Once inside, Elanil and his party sealed themselves in the way they came so that they would not be seen by the approaching Alessian army. Before stopping to eat or rest, they made for themselves another exit that would lead out under the waterfall, where they may never be found. 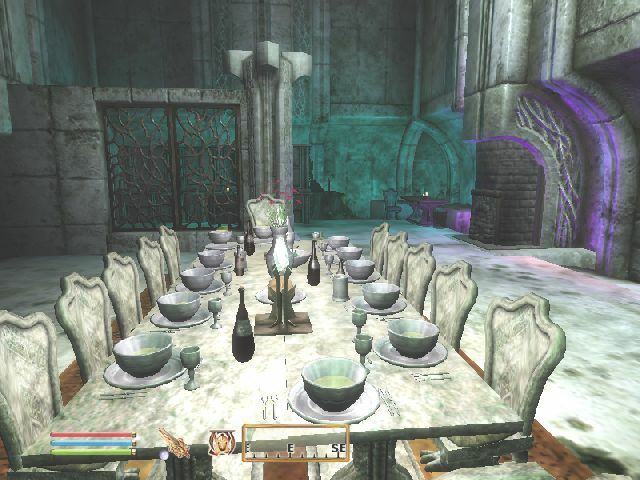 Silorn Manor is the manor of a living Ayleid Village, buried deep below Skingrad. The house itself is a six-bedroomed mansion with pool, servants’ quarters and many comforts and features. The village has services and fully-sheduled NPCs. There are 2 quests. Note: You will need to ensure that your borders are switched off in order to use this mod (and many others). You can use a border removal mod like this or switch them off in the .ini file. Find bBorderRegionsEnabled in the .ini (in folder My Games) and change the value to 0.